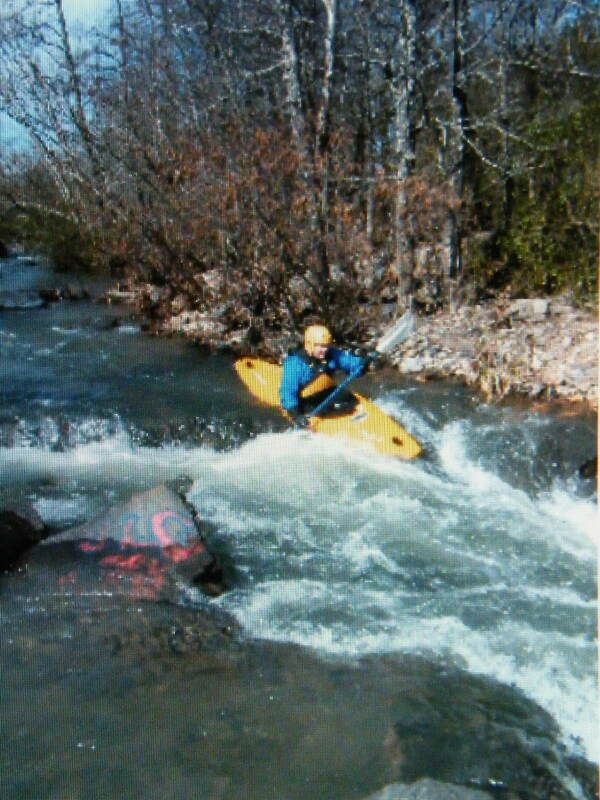 Also in Hot Springs, Gulpha Creek is a Class 2+ streem that can often be paddled the same day as Hot Springs Creek. 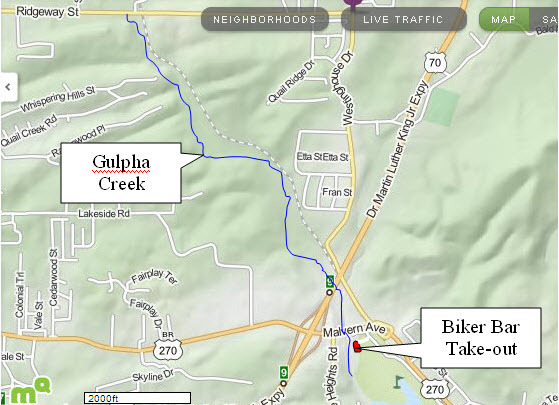 When Hot Springs Creek is at the minimum level for paddling, Gulpha is usually at a good level. Gulpha is fun even when H.S. Creek is a little too low to paddle. Between Ridgeway Street and Hwy. 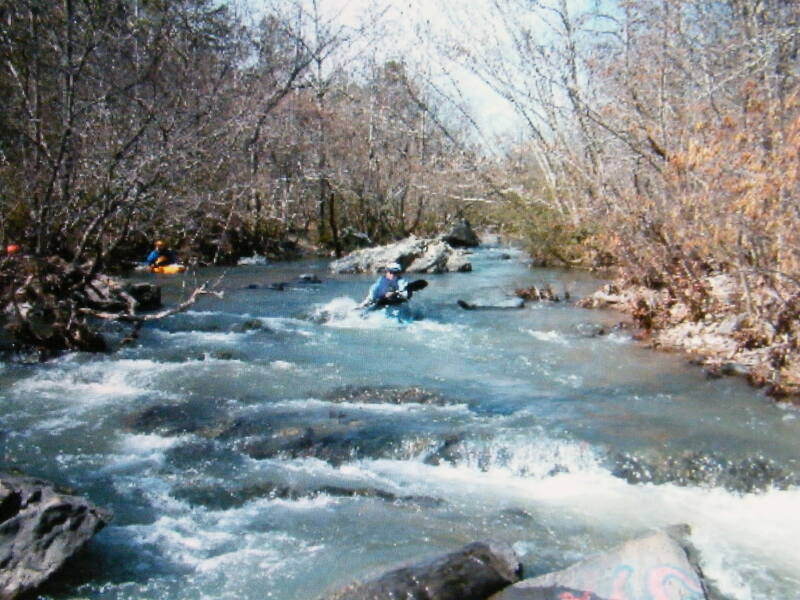 270 are two miles of swiftly flowing creek that has scenery in spots that will make you think you are far from civilization. Access at the put-in bridge on Ridgeway Street is highly restricted due to problems the nearby residents have had with trash dumping and rowdy summertime waders; do not park near the bridge except as follows. At the present time I have found that the lady living on the southwest corner of the bridge is willing to allow paddlers to park in her yard, over by the bridge, and launch; always knock on the door and get permission before doing this. 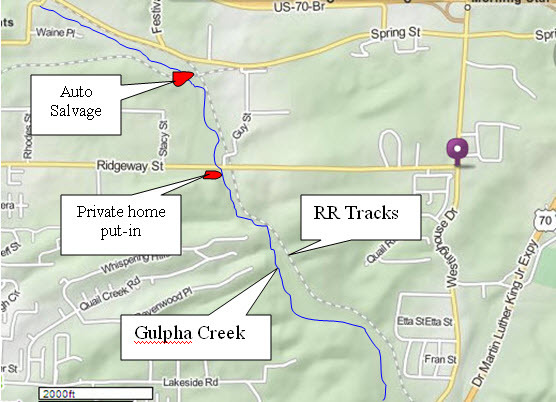 It may be possible to put in a little farther upstream where an auto salvage yard has a private bridge over the creek; their gate will be closed, blocking creek access, when the business is closed. Their bridge is too low to paddle under. The take-out is also on private property, this time being a biker bar and grill located just downstream of the Malvern Ave. (Hwy. 270) bridge. Step inside the bar and, after your eyes adjust to the low light level and haze, ask the bartender if it is okay to park near the creek. They have always extended us a welcome. The creek is demanding from the start, asking you to catch small eddies in an area with limited sight distance and trees growing along the banks. Bedrock appears right away, too. The first rapid straightens out into a field of rock outcrops that ends with “The Slot”, a small opening in a bank to bank outcrop. 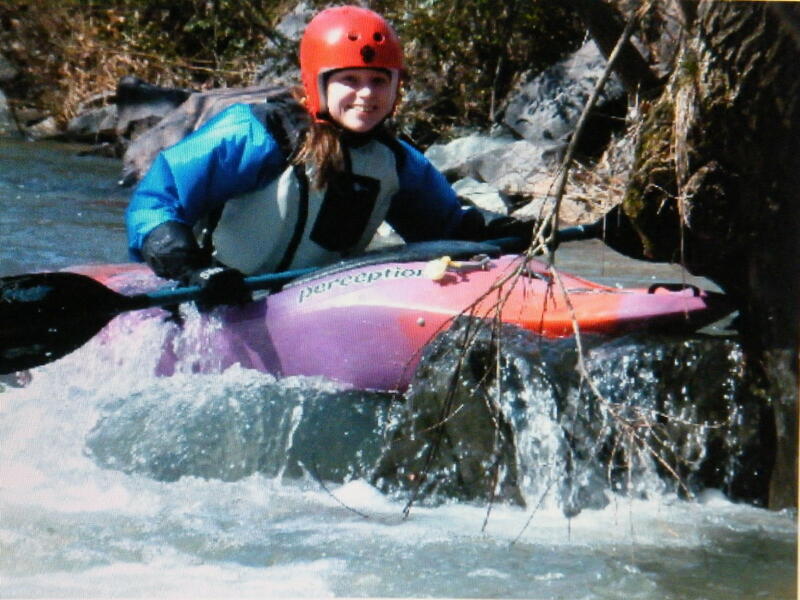 Another intense rapid follows, one that often has fallen trees blocking the preferred route along the left bank. The intensity eases off, but boulders continue to provide entertainment. 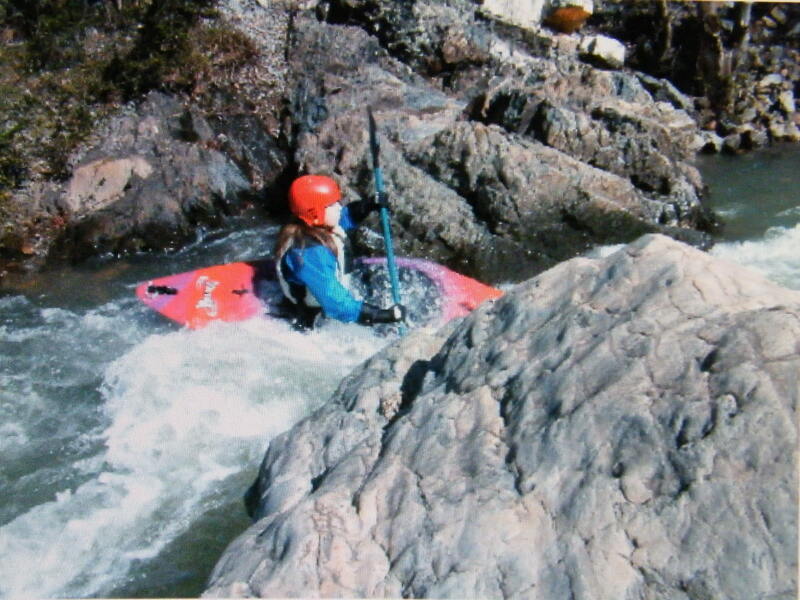 Twisty, choppy chutes fill in the interludes between boulder fields. 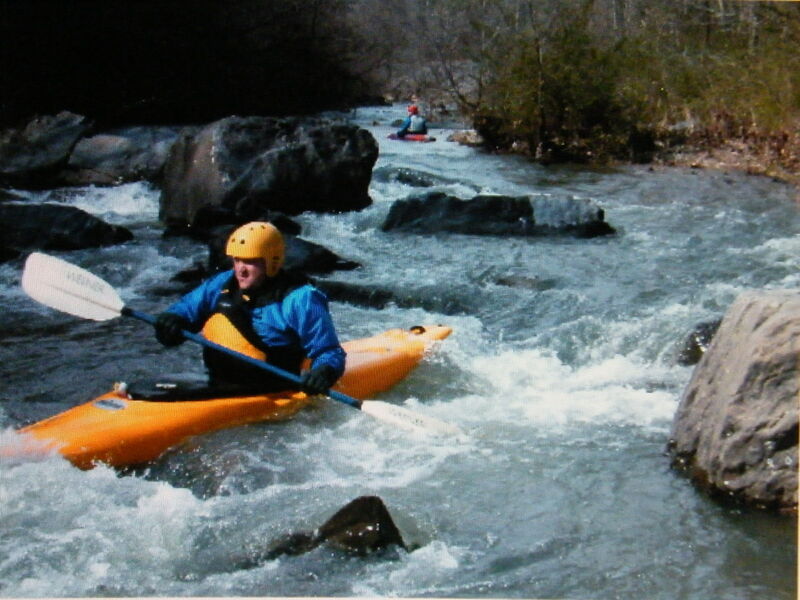 Several long, scenic rapids are encountered as well as a ledge or two before arriving at the take-out. Brush growing in the main channel and fallen trees are always a hazard on Gulpha, so beware. 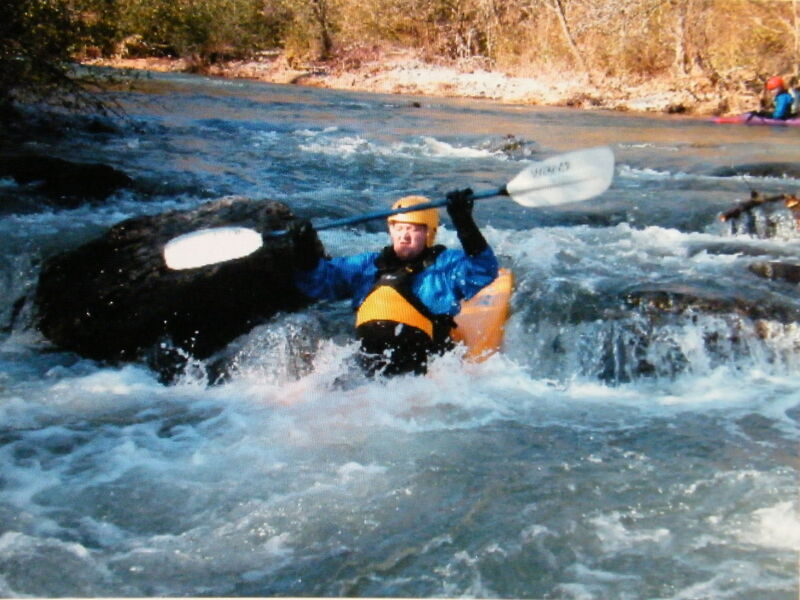 Some rapids have sharp turns that make scouting from your boat difficult. 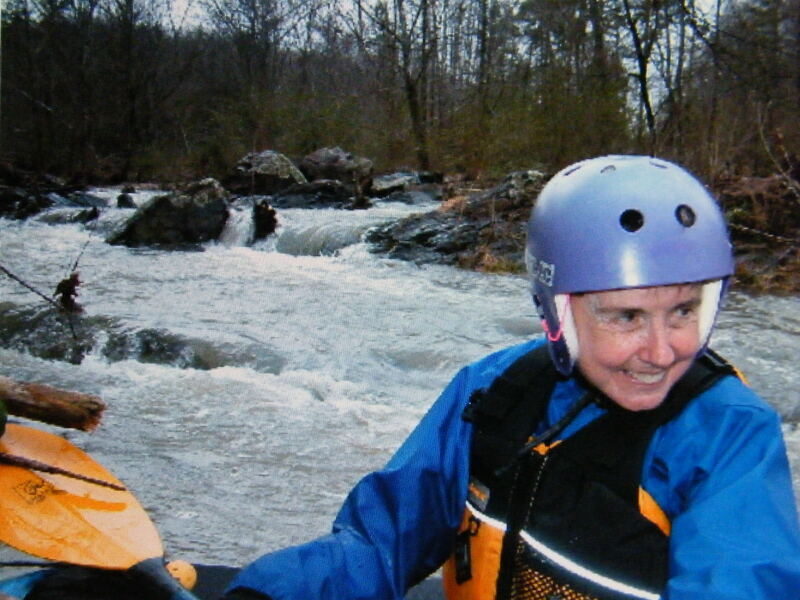 This is a rewarding creek to paddle since it demands good boat control and since there are some beautiful spots along the way that give you the feeling of being out in the wilds, although you are practically in someone’s back yard for the entire trip. How do we find out about water levels?